According to a recent media report, UK government (GoUK) has recently appointed a Resident Defense Advisor in Sri Lanka after an absence of ten years. The story was accompanied by a photograph of the newly appointed Colonel David Ashman with Chief of Defense Staff Admiral Ravindra Wijegunaratne taken during a courtesy call paid by the British RDA on the CDS. 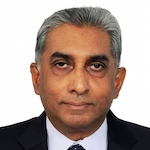 His purported mission is to help the Sri Lankan military to fulfill the obligations as required by the UNHRC 30/1 Resolution originated by the US and UK and so pusillanimously co-sponsored by the Sirisena-Wickremesinghe-Samaraweera triumvirate. It might be recalled, the last British Defense Attaché before the closure of the office and transfer to Delhi was Lt. Col. Anton Gash. He filed dozens of confidential reports between January and May 2009 giving his assessment of what he had seen during the closing stages of the Sri Lankan civil war. In the backdrop of GoUK classifying the reports as Secret, a British member of the House of Lords, Lord Naseby, after a three years battle with the British Foreign & Commonwealth Office (FCO), managed to obtain 39 pages of the confidential reports, albeit in a highly redacted state. He had to appeal under the Freedom of Information Act 2000 (FOIA) to the Commissioner of Information (UK’s equivalent to Sri Lanka’s Right to Information Act). Naseby, from the uncensored sections, was able to gather information which could seriously call to question issues such as 40,000 civilian deaths during the closing stages of the conflict, war crimes, firing by government forces on civilian ‘no fire zones’, genocide, crimes against humanity etc. contained in the OHCHR Investigation on Sri Lanka (OISL) Report and also relevant to the Geneva Resolution. The FCO, in its objections filed with the Information Commission, stated; “Lt. Col. Gash was the FCO’s defense attaché at the British Commission in Colombo during the closing stages of Sri Lanka’s civil war. Many of his dispatches contain information provided directly to him by his contacts in the Sri Lankan government, the Sri Lankan Army or other military sources. His reports indicate, he had access to reports on troop movements, Sri Lankan military strategic thinking, the movements of the LTTE and assessments of casualty figures. The effective conduct of international relations depends upon the free, frank and confidential exchange of information such as this. If the UK does not respect these confidences, then its ability to protect and promote UK interests through international relations will be hampered which will not be in the public interest. Naseby in his counter-arguments stated the aim of his request “was to find clarity over the events that took place at the end of the war, not to support any side or follow any agenda. If the UK government were committed to that, then to assist rather than hinder that process, the dispatches should be published in the interests of the British people, the UN, and Sri Lanka. Lt Col Gash was one of the few independent observers of what happened in the closing stages of the war, and thus his dispatches were a particularly valuable source.” He argued that it was verging on the criminal to withhold such relevant information from the investigation, particularly given that the potential allegations individuals faced included war crimes. He further argued that it may be the case that the dispatches would confirm that the Sri Lankan government took the greatest care to minimize civilian causalities. The last SITREP report in the initial set of redacted documents given to Naseby by the FCO was dated April 01, 2009. Under pressure from Naseby, FCO released two further reports and another three upon receiving a directive from the Information Commissioner. Nevertheless, the last SITREP report was dated Sunday, April 26, 2009, at 12.32 hrs whereas GoSL declared the defeat of LTTE on May 16, LTTE conceded defeat on May 17, Prabhakaran and most of LTTE leadership eliminated on May 18, and May 19 declared by GoSL as Victory Day. The Information Commissioner, on June 26, 2016, dismissed Naseby’s appeal for full disclosure of the Gash dispatches in an uncensored state. GoUK, FCO, and even the Information Commissioner would have us believe, Defense Attaché Lt. Col. Anton Gash would have taken long leave between April 27 and May 19, 2009. There are no reports even informing the cessation of hostilities and the elimination of Prabhakaran. Naseby claims, he briefed President Sirisena during his meeting in February 2015 of action he was taking which the Sri Lankan Head of State had supported with no reservation. Sri Lanka’s Foreign Minister too has stated, he intended using Naseby’s revelations as an “ace” at a future date, whatever that means! However, GoSL has so far done nothing to make use of Naseby’s revelations. Such are the type of leaders we Sri Lankans are blessed nay cursed with. GoUK stance in this instance, to say the least, is despicable. To make use of frivolous excuses such as the need to safeguard the identity of sources who provided information on troop movements, military strategic thinking, the movements of LTTE and assessments of casualty figures which took place in 2009 and have become purely academic by 2016 is unworthy of a responsible nation. Sri Lanka is aware of its partners and friends, both within and without the Commonwealth. The armed forces are also aware of who stood by them in their hour of need. Suffice to state, not since the days of Prime Minister Margret Thatcher has the UK been a partner and friend to Sri Lanka. GoUK has effectively shut down both its own investigations i.e., Iraq Historic Allegations Team (IHAT) set up to investigate allegations of abuse and torture by British soldiers in Iraq to prevent ICC intervention and Iraq Fatality Investigations (IFI) set up after the European Court of Human Rights decreed that previous investigations had breached procedural rules laid down by the European Convention on Human Rights. The UK has prevented three generations of exiled Chagossians (people of Chagos Island) from returning to their land of birth. With such a track record, Britain has no moral right to speak of Sri Lanka’s commitments to the UNHRC. But there is a lesson to be learned from Britain’s stance on Naseby’s revelations. Sri Lankan officials and men in uniform shared certain types of information related to the conflict with the then British Defense Attaché as a gesture of goodwill (this writer does not believe any Sri Lankan officials or soldiers were in Gash’s payroll even though such things are known to happen elsewhere). Never again should a British official be taken into confidence. Boycott the new Defense Advisor. Let all government officials, our men in uniform and every citizen adopt an attitude of non-cooperation. Do not greet him. Do not meet him. Do not invite him and do not accept his invitations. If unavoidable, give him monosyllable answers and remind him of Anton Gash’s dispatches. GoUK considers the disclosure of material and identities of Sri Lankan government and military officials will negatively impact on information they would be willing to exchange with the UK in the future and hence disclosure would not be in the public interest. That is but a lame excuse to implement its agenda for Sri Lanka and please the Tamil diaspora vote block, so important to British politicians. Any friend of Sri Lanka would provide available material which would be helpful to counter some of the pernicious aspects of the Geneva Resolution. There are senior military officials, many who have now retired unable to obtain a visa to visit western countries due to no other reason than having commanded fighting formations during the conflict. Sri Lanka must make every effort to prove to GoUK, their warped theory of disclosure affecting bi-lateral relations is misplaced, and in fact, non-disclosure is what will impact not only bi-lateral but even people to people relations. Every self-respecting Sri Lankan must utilize every available avenue to communicate to GoUK, its act of non-disclosure of the unredacted version of Gash’s wartime dispatches is considered a reprehensible and unfriendly act and with resulting consequences to UK/SL bi-lateral relations. Afghan Leader Acknowledges Cash Deliveries By C.I.A.